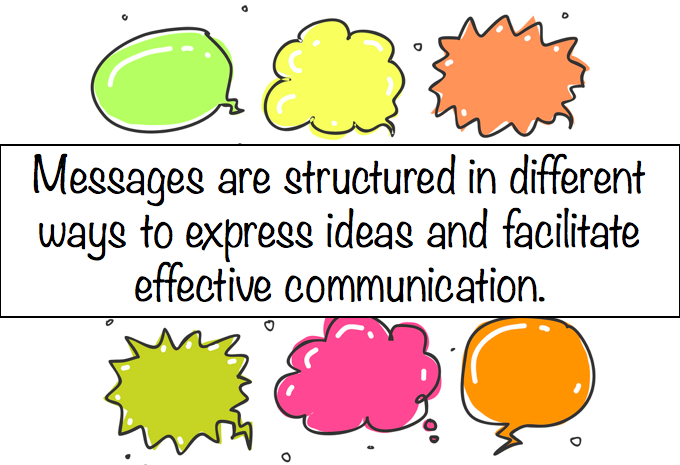 As you can see from the above statement of inquiry, my French Phase 1-2 students have been investigating how different messages are structures in order to convey meaning. The cultural focus throughout this unit were case studies of the old district of Lyon and the city of Quebec. To introduce the unit the students watched this video about Lyon and were able to answer simple comprehension questions about the video by applying their already extensive knowledge of vocabulary related to the topic of town. Imperative structures in the vous form: visitez, découvrez, ne manquez pas (to see the scavenger hunt activity that I did on the imperative click here). 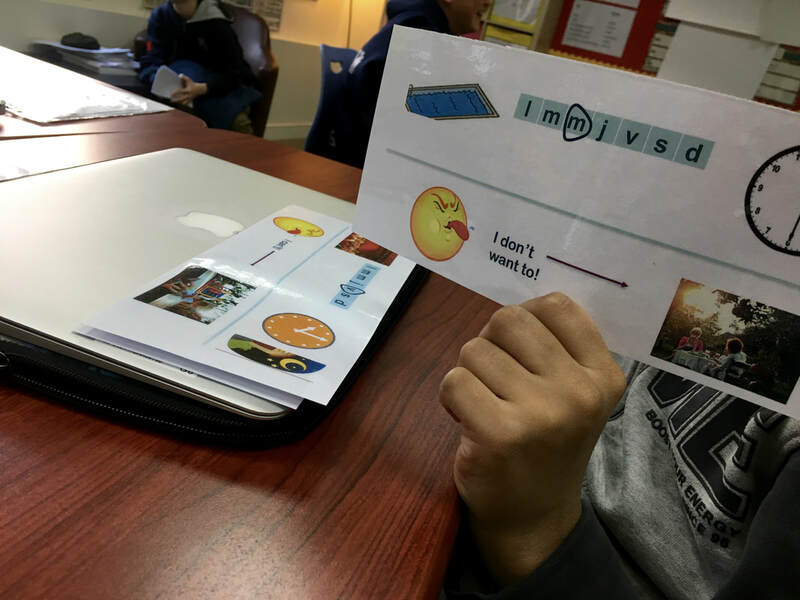 Of course, as we were completing this unit there were high expectations to learn the relevant vocabulary and grammatical structures. 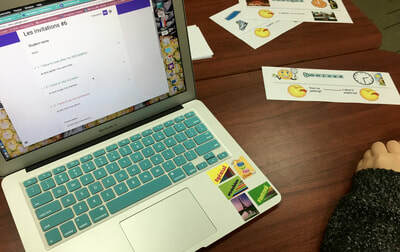 The quiz sets that I created on www.quizlet.com are below and here is my post on how to make a Google Form into a Google Quiz. 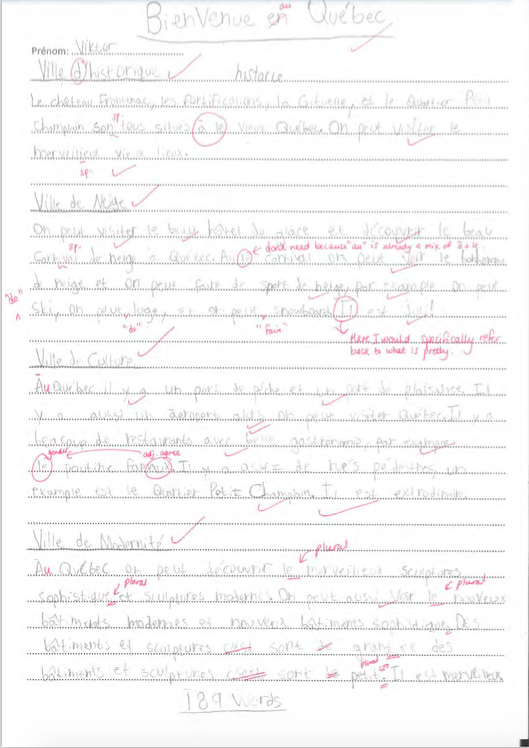 With all of this completed, we moved on to look at a case study of Quebec. 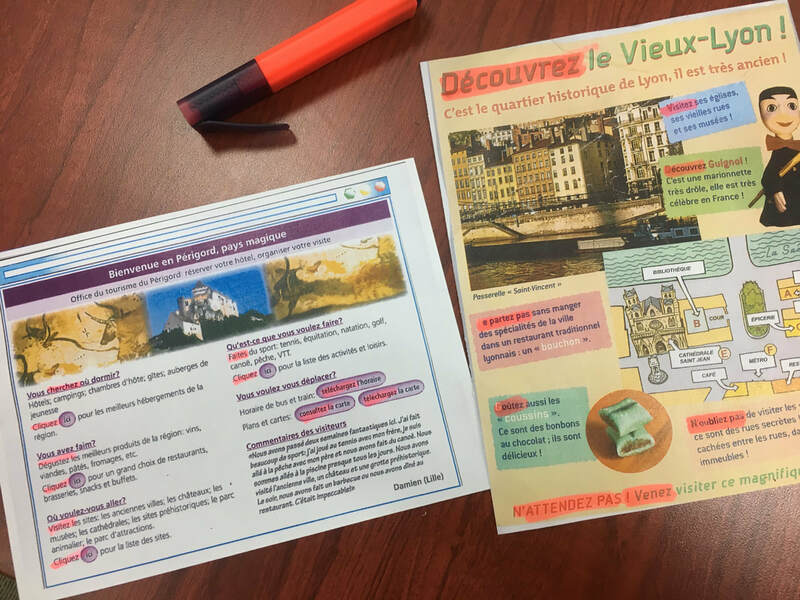 Although I would have loved for the students to have done individual research of a city or region in a Francophone country, it can be very difficult for them to find relevant specific information that they can simplify down into language that they can communicate effectively. As such, we looked at a case study of Quebec as a class. 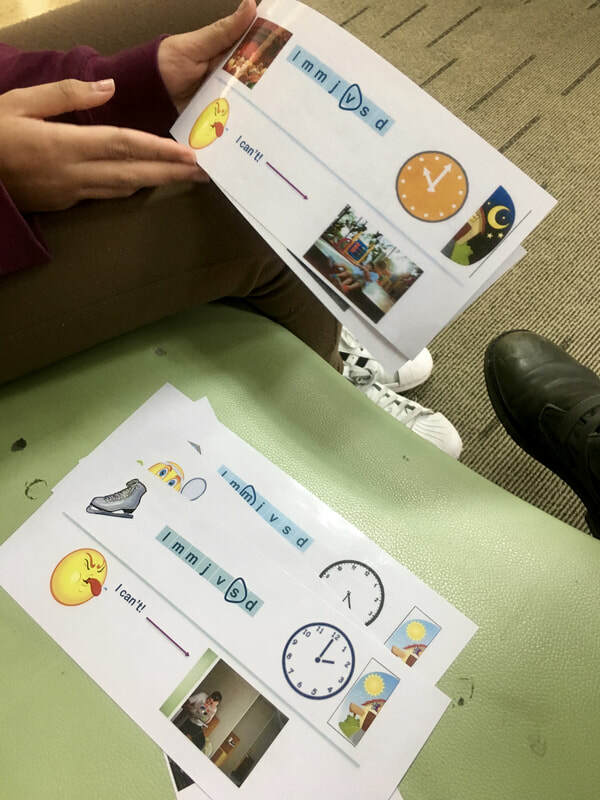 After watching the video and completing the worksheet, the students did a simple activity matching pictures to the place names. The students were encouraged to search these places up online to learn more about them. 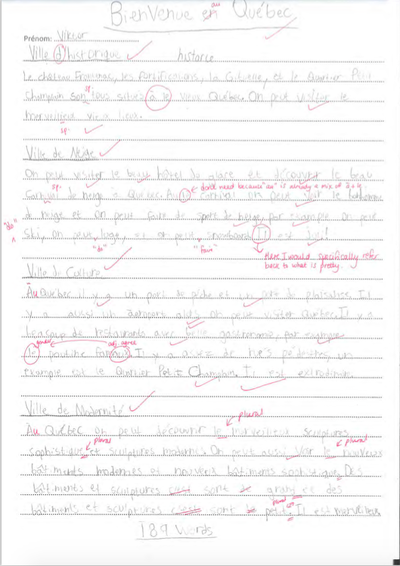 Here are some examples of the written work produced at the time of the in-class assessment.